Rhode Island is minus a major invitational this weekend, but that doesn't mean some of its top athletes will have the day off. Up in New York, the Ocean State will be well represented by an elite contingent at the 48th annual Loucks Games in White Plains. The three-day meet, held Thursday to Saturday, traditionally attracts the best from the northeast, and this year is no different. Hope High senior Quashira McIntosh is one of the top seeds in the 100-meter dash and the 200m. In the shorter event, McIntosh recently ran a hand-held time of 11.70 at the Schomp Invitational. That's a time that makes her a third seed in the race. Medger Evers' Brennessa Thompson of New York holds the No. 1 seed with her best of 11.32. McIntosh may have her best chance for a victory in the 200m where she again is the third seed with a time of 24.01, which she did at the beginning of April at the CARIFTA Games. Evers occupies the top spot in that event too with her best of 23.91. McIntosh will also run the anchor on Hope's 4x400m relay (Saturday, 5:50 p.m.), ranked No. 7 at 3:56.0, and the 4x100m (Saturday, 5:25 p.m.), ranked No. 9, at 49.0. 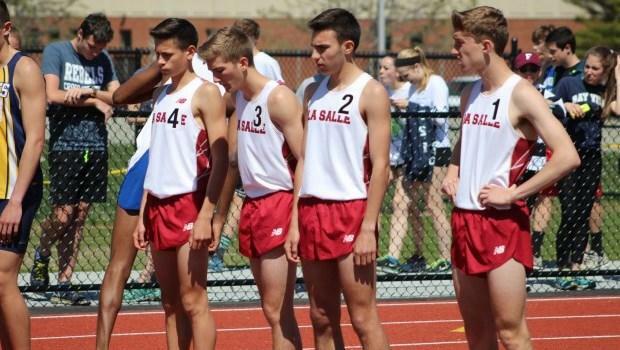 The boys' 3,200m race (Friday, 6:15 p.m.) is loaded and features the nation's No 1 3K runner in Alex Ostberg of Darien (CT) and a talented trio from La Salle Academy - junior Jack Salisbury, sophomore D.J. Principe and junior Matt Bouthillette. 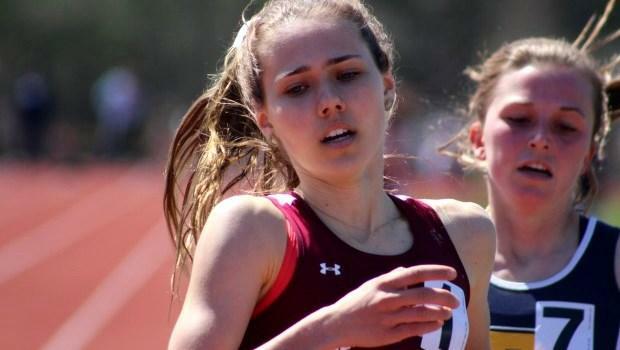 Earlier in the week, Ram distance coach Bill Myers told MileSplit RI that he believes Salisbury, Principe and Bouthilllette are all capable of dipping under nine minutes and Paiva. That would be some pretty incredible stuff if that happens. In the girls' 3,200m (Friday, 6:35 p.m.), La Salle senior Sheridan Wilbur and Barrington junior Emma McMillan are among a field that has 13 runners that have gone faster than 11 minutes. Wilbur has a best of 10:40.89 and McMillan has done 10:51.75. Staples' junior Hannah DeBalsi, the defending national outdoor titlist, owns the No. 1 time with a 9:55.05 best. La Salle senior Dan Paiva is entered in the mile. Paiva ran the 800m leg on the Rams' winning DMR squad at the Penn Relays Carnival with a PR of 1:57. North Kingstown's Katarina Ho, who recently won the 1,500m at the Schomp meet, is listed in the mile (Saturday, 11:50 a.m.). Don't forget, you can watch all the action of the Loucks Games LIVE on MileSplit.